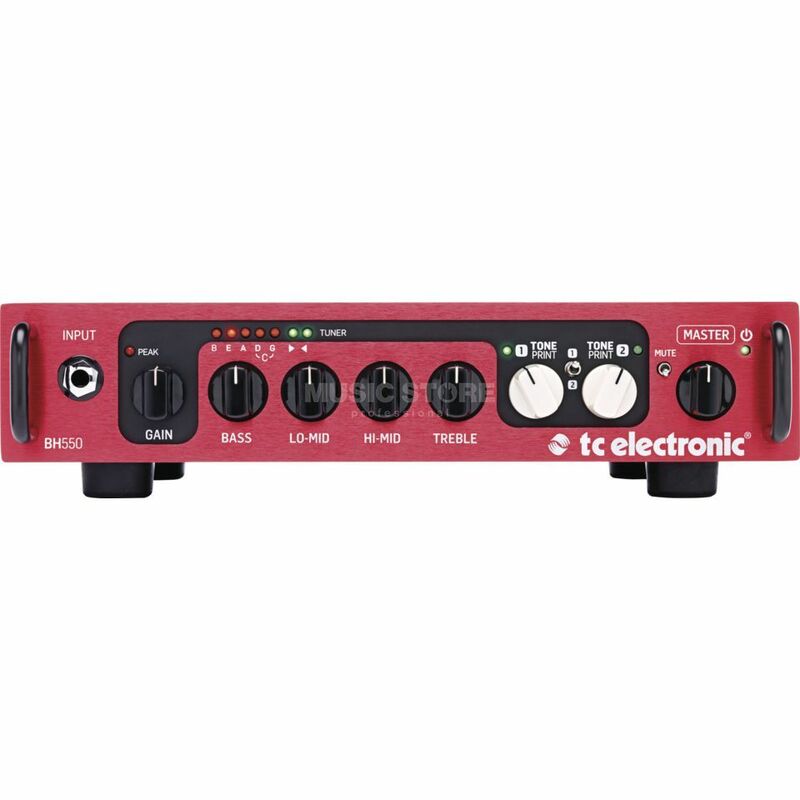 The TC Electronic BH550 Bass Guitar Amplifier Head is a state-of-the-art, super-compact 550 Watt bass head featuring 4-band EQ, built-in chromatic tuner and innovative TonePrint technology. Delivering a full, rich bass punch, this is the ideal amp head for adventurous bass players seeking something more from their rig. You get more power, more punch and more creative features without compromising with the original's ultra-lightweight design. On top of that you get a highly intelligent EQ section and a built in tuner. And you know what that means... total tonal bliss! No longer is your creativity held back by some fixed set of build-in effects! With the innovative TonePrint technology you become the amp designer. So if you need a swirling vintage flanger and a TubeDrive for your next rock gig, or a compressor and a chorus when you play with your funk band, you simply just load them into the amp. This may sound surreal, but trust us, it's THAT easy! TonePrint means signature effects made by the most awesome bass players around, like Victor Wooten, Duff McKagan, Nathan East and many more. These TonePrints are available for free, straight from your Smartphone - and with 2 switchable TonePrint slots available, you can mix and match to your heart's desire! Long gone are the days where bassists where the quiet dudes side of stage staring at their shoes pumping roots and fifths. Today's bassist is versatile, expressive, loud, and ready for his place in the spotlight. To perfectly support the needs of our fellow lovers of low-end, TC have designed the BH550 to fit the needs of busy bassist’s on-the-go. That means a lightweight, portable design, a killer EQ section and unlimited tonal versatility through TonePrint - plus an on-board tuner. So just like you, this amp was born to rock!